A Must-have for a Q40 Owner! This manual allows you to save money by providing the specs & information needed so you can do anything …from simple repairs to re-building the entire engine. * Do It Your Self & save money! * Easily print a page or two & take it with you as you working. * Stick your CD in your laptop's burner & you have immediate access anywhere. This is an electronic manual on CD that is year specific for your car. With the pdf electronic format you can zoom in/out of the page to view text & pics in larger size for more detailed view. You can print 1 page at the time or as many pages as you like with your PC's printer... as needed. Indexed & searchable to save you time. *The PDF format is already installed on almost all computers, + we include it on the CD, or you can download it from the web for FREE! THOUSANDS OF PAGES OF INFORMATION.! 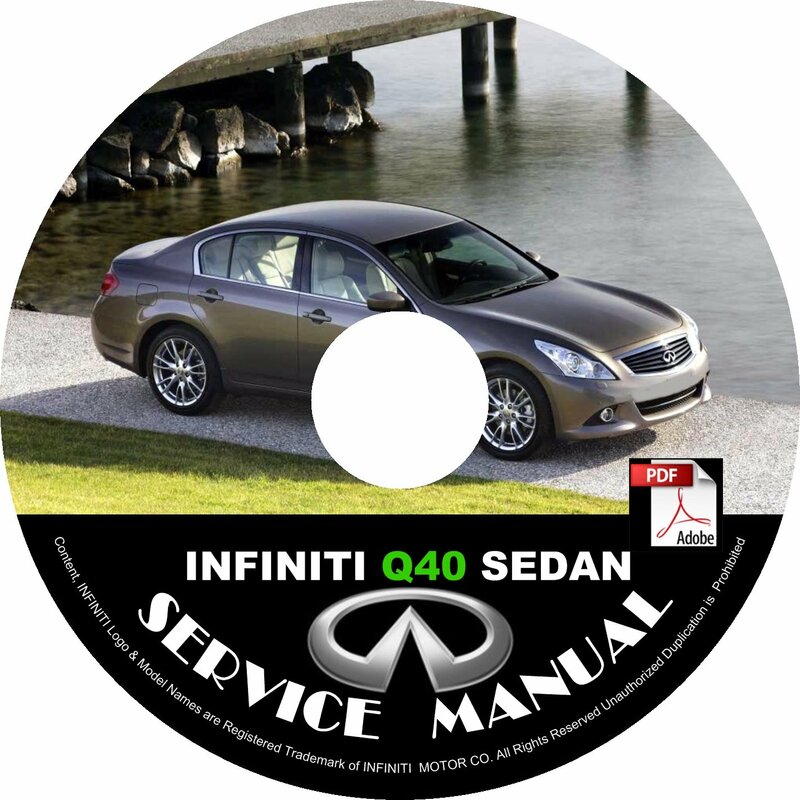 The service manual is easy to read & very detailed & comprehensive, the contents are in English, the service/repair manual is written in PDF format: also included in this CD.